This has been my favorite Project Ethos show yet. The shows ran seamlessly, one after the other, and they just got better and better throughout the evening. What I like about Project Ethos is that it showcases up and coming designers. It's nice to see their fresh perspectives in the fashion world. 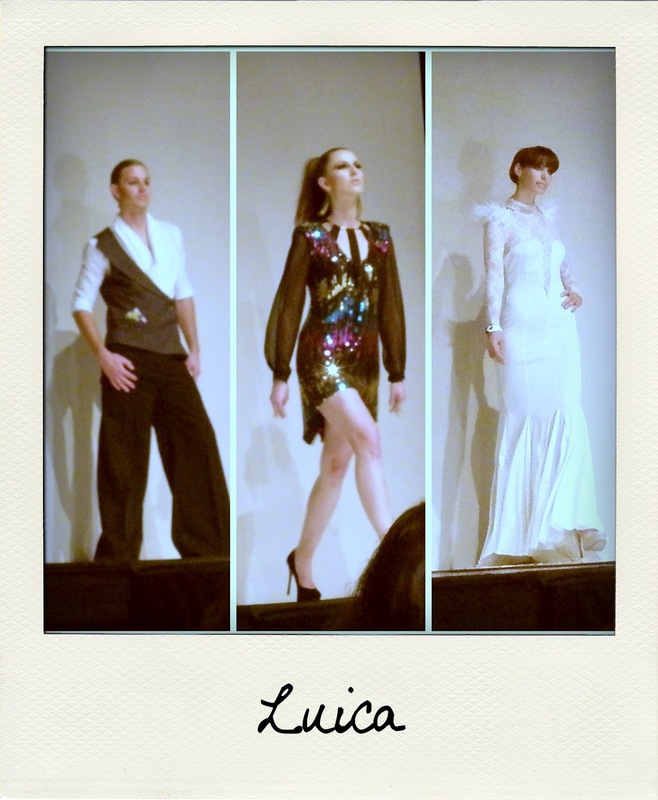 The pieces featured interesting necklines and details like sequins and feathers. Although the collection wasn't very cohesive, I gave them props for being the only show featuring menswear. I saw Ermelinda Manos' show last spring and she has definitely stepped things up since then. The designs were very glamorous and sophisticated, without being over-the-top. This was definitely one of the more adventurous lines for the night. Ruffles, gingham, and crinkled tulle helped create a quirky-but-fun collection. Boditecture was surprising and fresh. After the first model walked down the runway and effortlessly tweaked her dress ever-so-slightly, transforming it completely, the audience was suddenly paying more attention. We were all watching the models carefully, trying to guess how the dress would look once they reached the end of the runway. 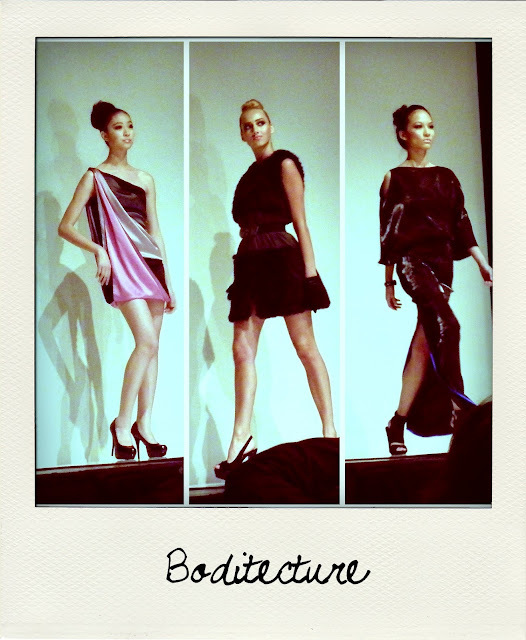 I love the idea of convertible clothing, and Boditecture had some great ideas. I immediately connected with Danielle Petee's collection once I saw the full skirts, classic silhouettes, and floral prints. Girlie, sweet, and vintage-inspired. I could see myself wearing a lot of her pieces. 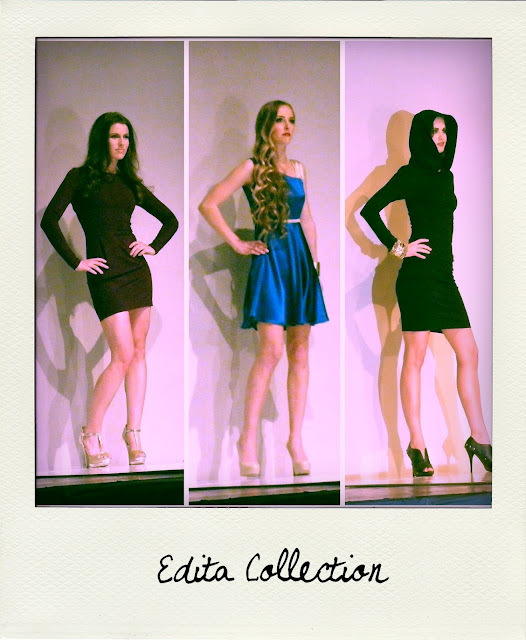 This collection was so much fun! I've been following Melissa Velia since my first Project Ethos, and she has evolved so much as a designer. This collection was a mix of urban and contemporary, with equal parts edge and femininity. Totally wearable and modern. I LOVED the bold, graphic prints and bright colors, as well as the flowy chiffon fabrics and high-waists. That chevron chiffon skirt above: you need that in your closet. Right now. This collection was all about special occasion dresses. There were a few great pieces that I liked (especially the hooded black minidress above). I liked that this designer mixed bold colors with soft floral prints and experimented with texture. Interesting proportions and silhouettes. Furio was one of my favorites for the night. It's difficult to experiment with strange/unexpected prints and lines while looking clean and sophisticated. I was really impressed with the way they mixed and used prints, while created designs that were very architectural. 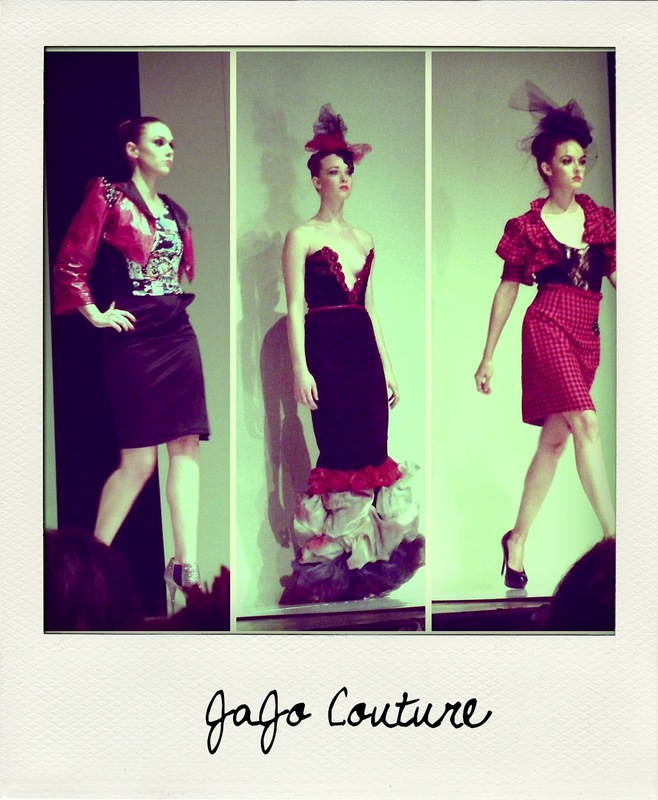 The collection was very cohesive and showed off a diverse range of styles. Sparkle, sparkle, sparkle--perhaps, a little too sparkly for my taste--but there's no doubt Johanna Hernandez is talented (and I'm totally coveting that hot pink sequin jacket above). Johana knows to create a flattering garment, while injecting a little bit of sexiness, glamour, and "It Girl" into each one. Oh, and I was in love with the music she picked (ahem. "Eyes on Fire" and "Sick Muse" are favorites of my mine). Hope you enjoyed learning about these designers! You can see my part one of my photo diary from Project Ethos LAFW March 2012 here. I also posted a lot more photos (runway and throughout the night) on Facebook.